We were first learning about injustices all over the world and then later on learning about the philosophizes that certain people believe is how the world should work such as liberalism and denotology. After that we started to look into the injustices in the community of Durango. 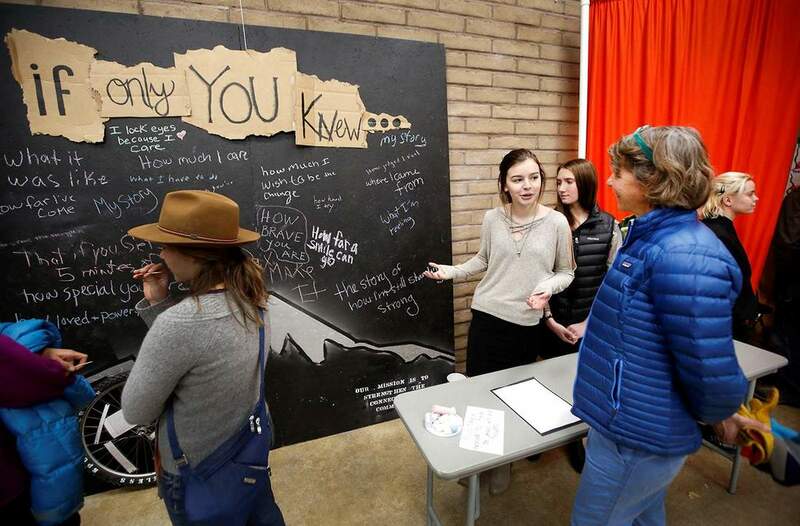 This project was all about raising awareness to homelessness in Durango. Finally we deiced to stick on the topic of homelessness in Durango. The community of Durango was split on weather what to do with the people in our community that are expiring homelessness. So I decided to create a meal for not only to feed the people experiencing homelessness but as well as bring the community together and communicate to on another so they can actually make each other feel human for a change. At out event we had key speakers, so community members or city council members that also support trying to raise awareness for people experiencing homelessness. After that we had students show the projects they have created to raise awareness, some were speeches, others were art pieces, and some students created films. After everyone could go and look around at all the different projects we had a dinner for everyone all set up. We got carters from Zia, Serious Texas, and the Powerhouse. We also got a lot of donated food from parents that brought soups, deserts and snacks. In the dinning room was multiple cups on each table with convocation starters in each cup to get people talking to one another or in other words icebreakers. After everyone was seated a fellow student gave a great speech to begin the dinner. The most memorable experience I had at the was when I was talking to these young kids experiencing homelessness and seeing how excited they were to be at an event and to be apart of something as well as eat an amazing meal was really meaningful. I challenged my self in this exhibition by taking somewhat of a leadership role and instead of creating my own project I was apart of the Project Planning Comity. I found it a lot of fun. I was also gone for a good portion of the project so I felt like I did not contribute to my partner as much as I could have but instead I planned a lot and helped take some of the load off her right as got back and planned the set up of the food and tables as well as the icebreaker questions. This exhibition has not impacted me as much as i thought it would. I have always been the one to start conversation with random people and homeless people. So I guess in a way its just made me want to make them feel more human so I can feel more human. I think we had a pretty strong case especially when Harley read that speech before dinner. I think it opened peoples eyes to other possibles and solutions instead of hating people experiencing homelessness and dehumanizing them.